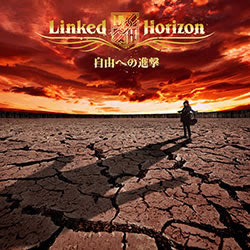 Linked Horizon single “Jiyuu e no Shingeki” to be released on July! 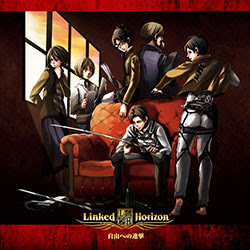 Last weekend, the anime Shingeki no Kyojin (attack on titan) premiered on Japanese TV, and we could hear the Opening song by Linked Horizon for the first time. The song, titled Guren no Yumiya (Scarlet bow and arrow) will be released in a single titled Jiyuu e no Shingeki (Advance to freedom), which will go on sale on July 10th. There are no details regarding the content of the show, apart from it being a Talk & Live show. According to the information given about the Limited Edition single, there seems to be a Music Video for the song apart from the Opening video of the anime itself. We might get a sneak peak of it in the single TV commercial! Previous postWatch the 5 minute preview of the Linked Horizon DVD "Luxendarc Kikou"! Next postIs something going on in the Sound Horizon website...?